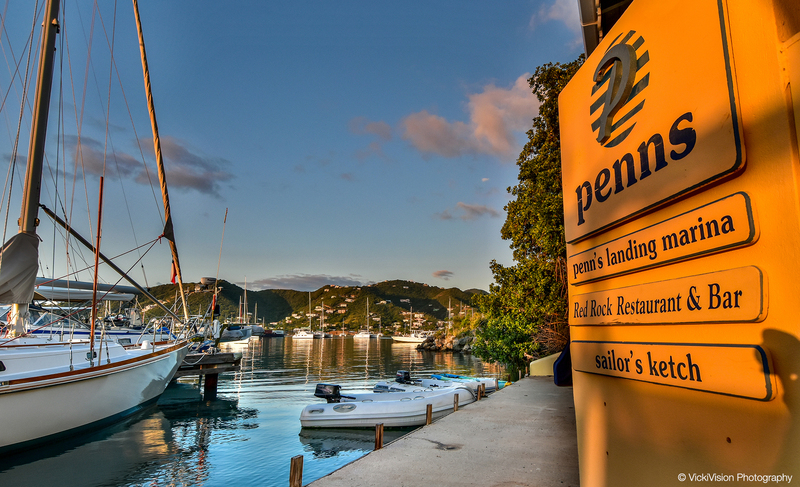 Penn’s Landing is a tranquil and private marina, situated in the well-protected waters of Fat Hog’s Bay on the south-east end of Tortola in the beautiful British Virgin Islands. 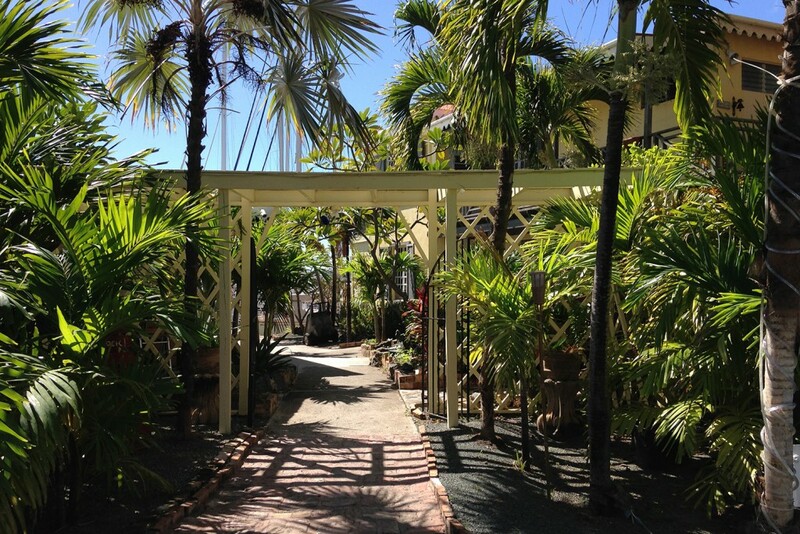 Located just five minutes drive from Beef Island Airport, this tropical oasis is one of the hidden gems of the BVI, offering an impressive variety of facilities and amenities tailored to fulfil any yacht owner’s needs. Friendly and welcoming staff give Penn’s Landing a unique family atmosphere, where every effort is made to provide customers with all they require during their stay and ensure their stay is pleasurable, whether long-term or brief. 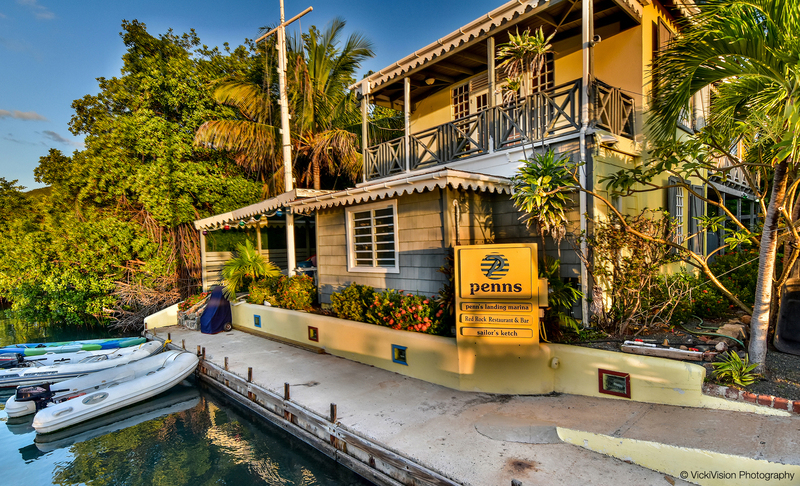 There is an ambiance, not only of a well-run business, but of the home of a friendly family of employees dedicated to making the daily experience at Penn’s Landing Marina a pleasant one for all who pass through. Long-term guests and visiting boaters alike can fully restock their vessels at Penn’s Landing, whose neighbours include the RiteWay Food Market, Honey & Spice Bakery, a chandlery and a gas station with water, fuel and gas canister refills. 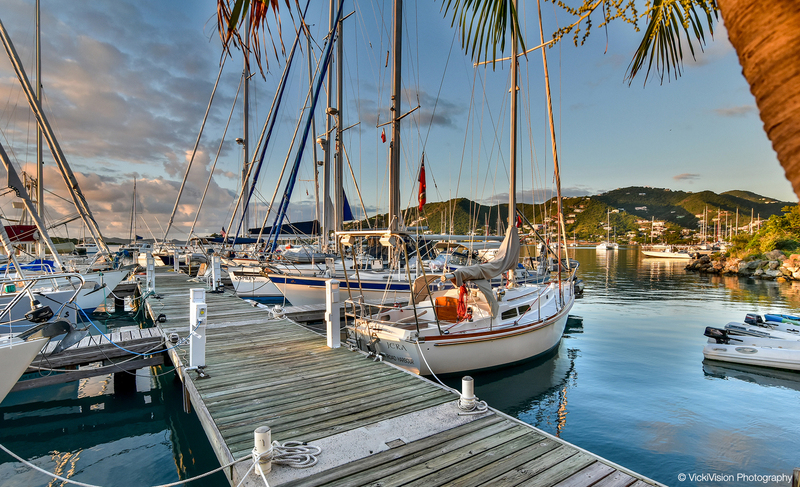 The marina also has a range of facilities for yacht-owners to take advantage of when docked. Spacious showers make a welcome change from bathing at sea and the nearby laundromat (which also offers a delivery service) is equipped with ample washing machines and dryers, making your wash day a breeze. You can then relax and enjoy the a cool drink and dinner at the local bars and restaurants including the onsite Red Rock Restaurant & Bar. In addition to these facilities, we offer an extensive range of yacht management services, including boat cleaning, storage for dinghies and other equipment, repair work and yacht maintenance. As the marina and moorings at Penn’s Landing are recognized by insurers for its good storm protection qualities, it is also the perfect place to store boats during the summer. This allows clients the option of using their boats on fine days, while knowing their boats will remain safe and secure on the water even in the event of a storm.